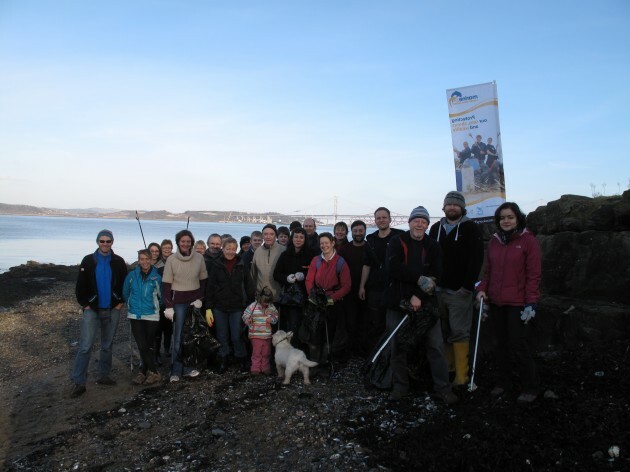 The Marine Conservation Society (MCS) will use Scotmid’s grant to expand its beach cleaning and monitoring network in the Forth Estuary area and purchase new equipment, which will help teach more local people about the damage marine litter can cause to the environment and wildlife. Marine litter can harm and kill wildlife like seabirds, seals and dolphins, as they can mistake rubbish for food and become entangled in plastic packaging. MCS surveys have recorded a steady increase in the amount of beach litter since 1994, mainly from the general public, fishing, bathroom waste and shipping. Anne Saunders the Scottish projects officer for the Marine Conservation Society said the grant was fantastic and the money would be well invested in our Firth of Forth beach clean program.